The ancient trading city of Melaka is situated on the south-western coast of peninsular Malaysia. 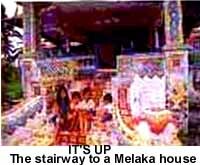 The history of Malaysia began with the founding of Melaka in 1400 by Parameswara, a Sumatran prince. 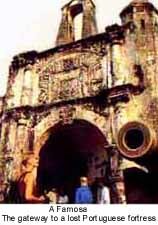 It gradually became a trading centre for the Chinese, Indians, Arabs and the Europeans. Portugal conquered it in 1511, it came under Dutch control in 1641, and the British took it in 1824. It became free when the country attained independence in 1957. Aptly, Melaka has been described as the Historic City of Malaysia. The historical sites one can see in the city are A Famosa ( a fort built by the Portuguese in 1511), Stadthuys (the oldest Dutch building in the East built in 1641), St Paul's Church, St John's Fort and the Hang Tuah and Hang Jebat mausoleums. Other places of interest are Pedang Pahlawan, Jonk Street, island retreats of Pulau Besar and Pulau Upeh.The popular delicacies in Melaka are Portuguese spicy chicken dish called Devil's Curry and a local favourite called grilled fish. HOW TO REACH: Melaka has an airport. Inside the city, walking is advisable to see the historical sites. For excursions, one can take taxi, bus or boat.